Table launched at Clerkenwell Design Week 2017. 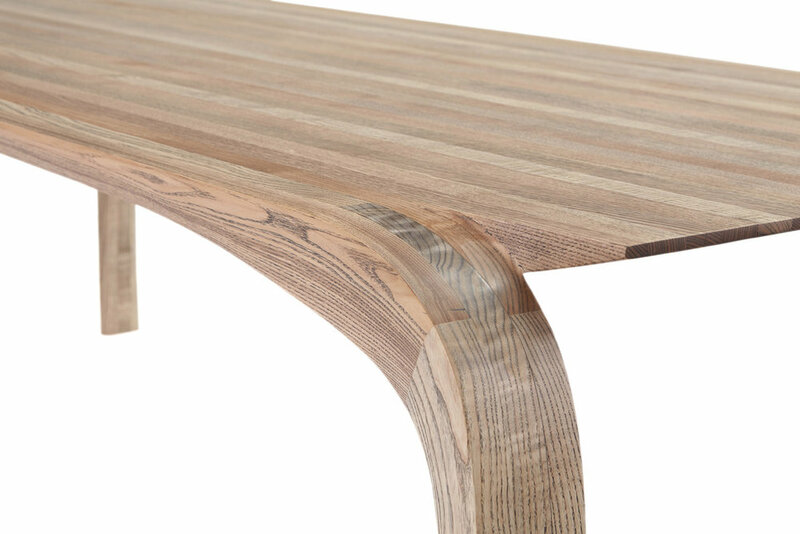 The new dining table ‘ONE’ is made from strips of laminated ash. The random grain patterns of the ash contrast with the uniform lines of the laminations which give a unique visual interest to each piece. Number one of an edition of five.